LINE - Iowa is a 2 point underdog on road. Coach Lickliter had mentioned a few weeks ago that his team needed more practices and less games. With Finals Week finishing up, Coach got his wish. Iowa hasn't hit the hardwood for over a week (since its romping of rival, Iowa State). The winner of the Iowa-Drake will be declared the King of Iowa... I think that equates to something funny, but can't think of anything remotely worth adding. Drake is a pretty smart team, but don't fool yourself, this isn't Keno or Dr. Tom's Bulldog squad. They are going to play efficient ball, however they are not close to the level they were at last year. 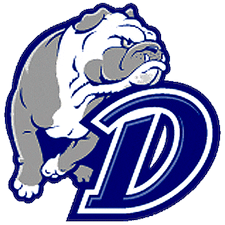 Face it, Drake had a magical year in 07-08, but that enchanting season has come to an end and the Bulldogs are sliding back to where they have been in recent years. The point spread for this game has me dumbfounded. Anthony Tucker has been allowed to return to practice with the team, and Lickliter stated he would be available for this game, but couldn't forecast if (or how much) he would play. My thoughts are that Tucker would be the 9th player off the bench in this one, if he gets that shot. Obviously, if some of the guards get into foul trouble, Tuck is going to be called on. 1.) Control the Tempo. Iowa wants to keep this game in the half-court set. If the Hawks can set up their offense each time down, they'll get a LOT of good looks against Drake. 2.) Handle the Press. You won't see Dr. Tom's press in this one, but I am still amazed that teams aren't coming at Iowa with full court pressure every time out. If Drake decides to throw one in there, Iowa had better be ready to handle it. 3.) Play Solid Defense. We'll likely see Man to Man D once again in this one. 4.) Get Cyrus Tate Involved. This key is going to be permanent on this list for each game for obvious reasons. Tate is really good down low. Iowa doesn't get him the ball enough. That's really the bulk of the point right there.